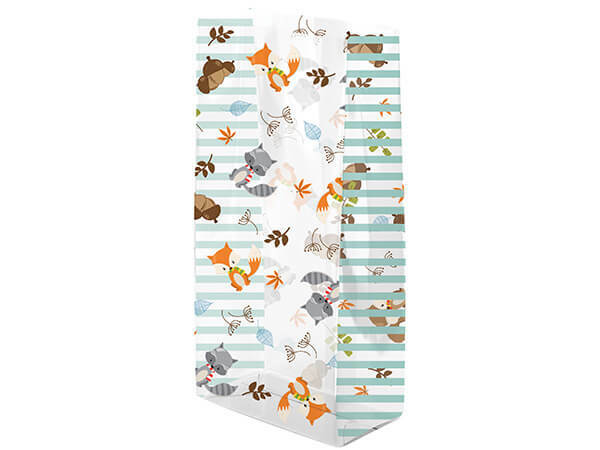 Falling Down Cellophane treat bags are a fun way to celebrate the changing seasons. They feature squirrels and acorns with touches of leaves and seeds. The gussets are covered in vertical turquoise stripes that only added to the cute character of the bags.